Carbon Claw are a UK based boxing equipment brand who focus mainly on equipment for boxing, but also producing gear for MMA and Muay Thai as well. 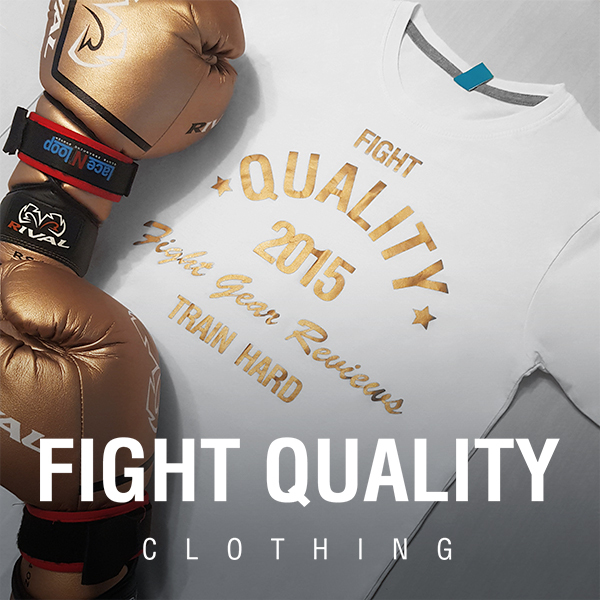 They focus on making as high quality gear as possible for competitive prices. Carbon claw sent us a pair of these gloves to test out and share what we thought. The Razor RX-7 Thai Gloves are primarily sparring gloves, they offer all round protection and a tight fit to keep you and your sparring partners safe during training. As the name suggests, these gloves are designed with Muay Thai in mind, but work just as well in boxing. They’re also suitable for use in pad and bag work, making them a good choice for all round gloves. These gloves are available in sizes 10oz, 12oz, 14oz and 16oz versions. We tested out the 14oz versions, so anything related to the size and fit of the gloves may vary slightly between weights. The weight in these gloves is fairly evenly distributed, obviously the majority of the padding is around the knuckles and thumb, but these gloves also have a padded grip bar, padded palm and a sturdy wrist strap which all serve to balance the glove brilliantly and provide great all round protection, which we’ll get to later. These gloves have a great visual style and in my opinion look awesome. The bulk of the glove is in a matte black, offset with a bright white thumb and white trim around the edges of the wrist and wrist strap. The thumb has ‘Pro Mala RX-7’ printed down in it black and the weight of the glove on the inside of the thumb and the wrist strap has carbon claw and the logo printed so it sits in the back of the wrist. All these features alone look great, but my personal favourite part of the design has to be the Carbon Claw big cat logo printed on the back of the hand. It’s outlined in broad white lines, and filled in with hexagonal carbon fibre effect print. Frankly, I think it looks beautiful. The downside is that they only come in black and white so if you prefer brighter coloured gloves you’re stuck. As mentioned in our review of the Carbon Claw Recoil RX-7 Series Bag Gloves, the materials seem to be an area which Carbon Claw gloves excel in. Carbon Claw have selected high quality leather, which will ensure the durability of the glove and combined it with die cut foam padding to offer the maximum protection. An added bonus is the moisture wicking anti-microbial lining, which is standard in most quality boxing gloves to help keep them fresh, but is noticeably comfortable in the Razor RX7’s – some gloves can feel a bit rough and plastic, but these are lined with more of a soft material. Again this is another area these gloves excel in – they’ve been very well made. There’s no stitching coming loose, the leather is evenly spread and tightly pulled across the glove so there’s no bunching, and it’s double stitched across the points that need reinforcement, such as round the thumb. The gloves look as good now as they did when I first started testing them, which is testament to how the craftsmanship is holding up. Testing out these gloves has been a pleasure – they’ve taken over as my primary training glove for now. As Carbon Claw have mentioned on their website the die cut padding fits together to provide a super comfortable and natural feeling fist, which moulds to your hand as you break the gloves in and the padding on all sides with the padded grip bar provide a stability that’s hard to find in many gloves. Combine this with the the wide and long Velcro strap which stops the gloves from moving when you’re training you’re left with a glove that’s great to use. Additionally these gloves have got a fairly unique thumb attachment, rather than a standard thin strip holding the tip of the thumb to the hand the whole length of the thumb is attached to the glove keeping it held in position and safe behind the padding, meaning you aren’t concerned about mashing up your thumb when you’re striking hard. Retailing at £59.99 a pair these gloves are slightly too expensive for a complete amateur, who would usually buy a cheap pair till they get properly addicted to training, but I would really recommend these as a second pair of gloves when they start sparring or for a more experienced fighter looking for a high quality pair of gloves to use for sparring. – Needs some time to break in.